An iconic must-see, The Household Cavalry are world famous as HM The Queen’s mounted bodyguard and are seen on television worldwide. 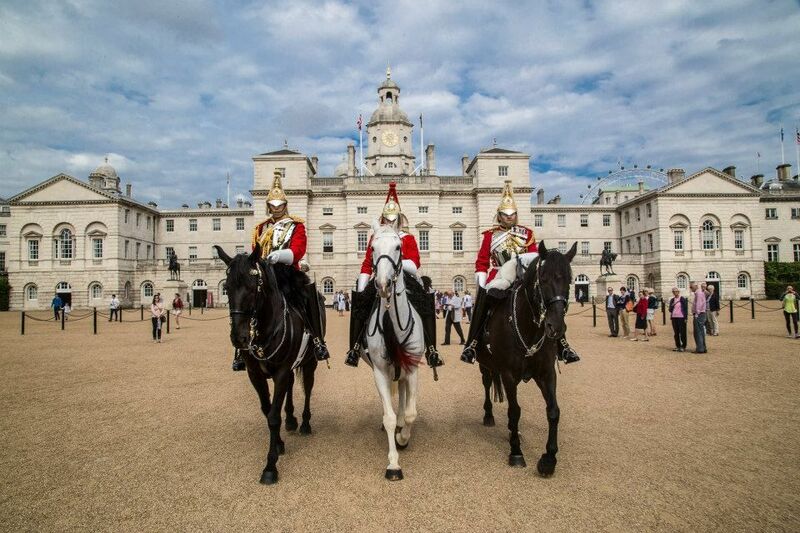 The sentries at Horse Guards have guarded the entrance to the Royal Residences since 1660. We house the best items from one of the world’s finest regimental collections, superb interactives and graphics. Watch the troopers at work through a large glazed partition. You can also try on parts of the uniform which makes for great photographs! A visit to the Museum is complimented daily by colourful sentry changes on the hour and set piece guard changes at 11.00 (10.00 Sundays) The Changing of the Queen’s Life Guard and at 16.00 The Garrison Inspection. These ceremonial guard duties show unique British pageantry at its best. Closed 19 and 28 April and 24 - 26 December.